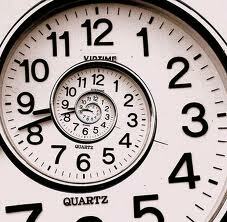 I often feel like time is spiraling out of control lately. There never seems to be enough of it. I like to try to keep ahead of time. With blogs, I schedule posts ahead as often as possible. With writing, I try to have stories written well before deadlines. With editing, I space out the pages based on how much time I have. I used to make daily lists of what I wanted to do, but now I make monthly ones. I'm losing track of days because I'm always thinking of future dates. And when you read our talented Lisa Ruscyzk's The Message - coming soon - then you'll see a whole new view of what time is or isn't. So what do you do about time? Do you take things one day at a time? Or do you plan for the future and what you'll be doing or need to do? Is time the enemy? Or a friend? I live day-to-day, always trying to make it till bedtime having done at lieast one or two things I needed to do. And, that's a good way to live. At least you wouldn't get as confused on what day it is. I use to be a planner. With a kid, it's not easy to do that any more. Time is just slipping by too quickly. I remember laying around as a kid complaining I was bored and time went too slow. How could I have been bored when there's just so much to do? !